If you're on the hunt for the perfect summer hideaway, be prepared to spend more on your cottage, camp or cabin this season. The average price of a recreational home in Canada is expected to rise 5.8 per cent to $467,764 by the end of September, according to a new survey by Royal LePage. That's up from $442,239 in the same period last year. Retiring baby boomers and gen-Xers are driving recreational home sales as they look toward retirement or for a secondary home to raise children, said the survey, which polled 200 of the real estate firm's property advisers across Canada between mid-May and the start of June. "Driven by the strength of the nation's economy, Canada's recreational real estate market is set to experience another strong year," Royal LePage CEO Phil Soper said in the report. "While home values and sales activity in Canada's largest urban markets have softened, demand for recreational properties remains robust in most regions." The survey comes just days after data from real estate boards in Toronto and Vancouver showed that home sales in those cities fell last month. The Greater Toronto Areasaw a drop of more than 22 per cent compared to a year ago, while Metro Vancouver experienced a decline of more than 35 per cent in the same time period. But about 42 per cent of the advisers surveyed by Royal LePage said they thought recreational housing sales would increase in their region by the end of cottage season this year, compared to the same period last year. Not all of Canada's biggest property markets, however, are expected to see prices climb in the recreational segment this year. Ontario and Alberta will see the biggest jump, with prices forecast to rise 9.4 per cent and 8.2 per cent respectively to $535,885 and $770,100. But the country's most expensive property market — British Columbia — will see recreational prices decline by nearly three per cent to $531,333 as the new speculation tax on secondary residences keeps buyers away, according to the survey. "With Canada's fastest growing economy, British Columbia's vast and varied recreational regions might be expected to lead the country," said Soper. "That will not be the case in the near-term as new taxes aimed specifically at recreational property owners are expected to weaken markets across the province, driving would-be purchasers to invest elsewhere." 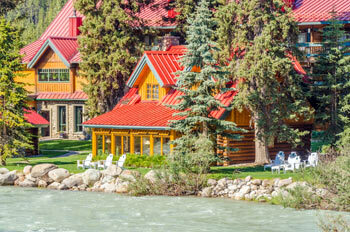 Alberta residents, who are one of the biggest buyers of recreational property in B.C., are expected to look more at their own province for vacation homes, the study said, driving up prices in popular regions such as Canmore and other communities in the Rocky Mountains. Atlantic Canada will see the biggest decline in the price of recreational homes, falling more than eight per cent from last year to $228,754. "A growing trend is emerging whereby many potential buyers venturing into the market seek out older properties in order to tear them down and build their dream properties, keeping the total price low," the survey said. "This is largely due to the region's excellent affordability, which continues to entice a growing number of prospective retirees into the market." Foreign buyers are also being enticed by lower prices in Atlantic Canada. About 40 per cent of the advisers surveyed said they expect purchases from foreign buyers to increase in the region, where they currently account for five to 10 per cent of the market. To compare that to the national picture, more than 73 per cent of all advisers surveyed said that foreign ownership accounted for less than five per cent of the recreational market in their regions.